The wreck of a T-34-85 from Factory No.112 early production run with the turret number 421 which formed part of the inventory of 25. Pz.Div. Another T-34-85 tank (also from Factory No.112 early production) from 25. Pz.Div. with the turret number "423" was also photographed in south Moravia. The division still recorded three T-34 tanks in its inventory on 27th March 1945. The wreck of a T-34-85 from Factory No.112 early production run with the turret number 421 which formed part of the inventory of 25. 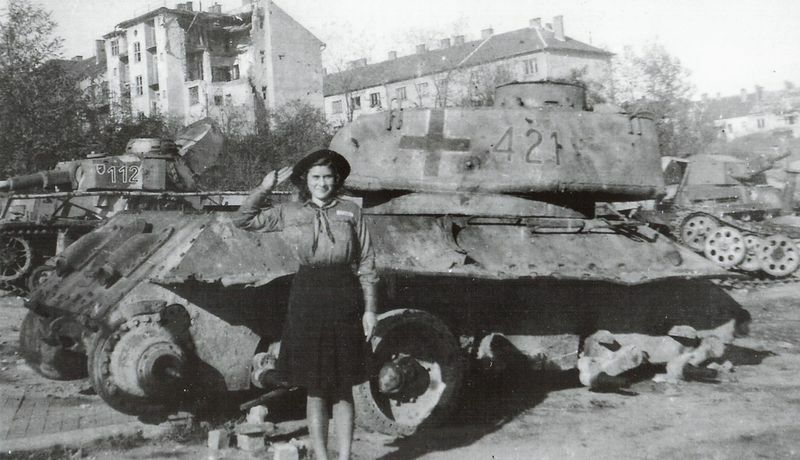 Pz.Div. The driver's hatch, its hinges originaly welded to the hull and the lower splashguard are are missing entirely. Another T-34-85 tank (also from Factory No.112 early production) from 25. Pz.Div. with the turret number "423" was also photographed in south Moravia. The division still recorded three T-34 tanks in its inventory on 27th March 1945. 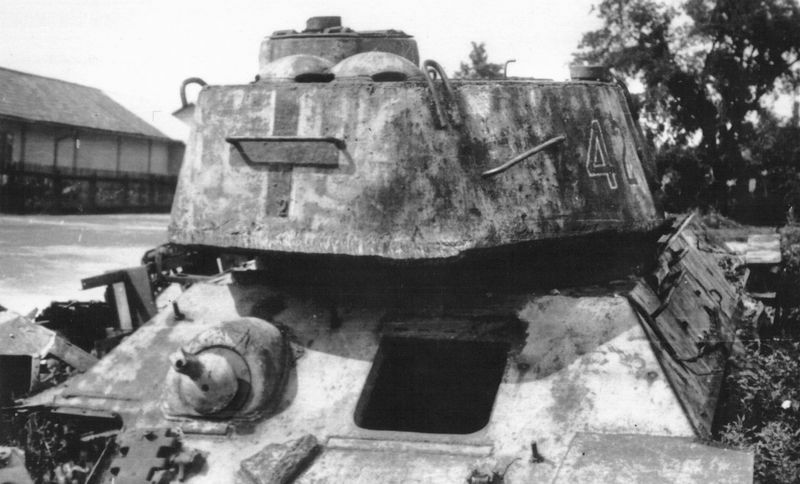 Destroyed germans captured T-34/85 and two turetless T-34 used as bergepanzer. Znojmo, 1945.